Creative Homeschool: Calendar Time Freebie!! 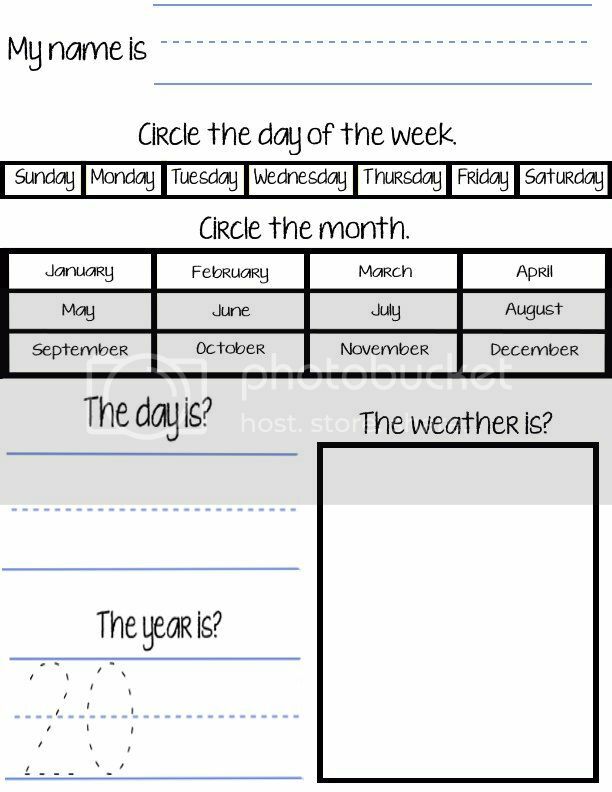 Just wanted to share a couple printables that I made for the girls to use during our calendar time. There's Sunday, and there's Monday. There's Tuesday, and there's Wednesday. There's Thursday day, and there's Friday. I also plan on introducing this song after the girls have the days of the week song down. The weather graph was made for my two year old (although it would also work great for older kids). She really wanted to do the calendar activity with her big sister but it was a little advanced for her. I may add more to it later but for now she is enjoying it. What kind of calendar activities do you use for your younger kids? Please share your ideas in the comments! !